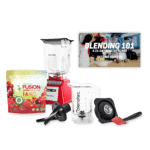 Blendtec has a special sale for the month of March 2017! 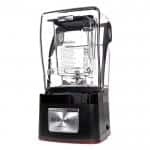 Classic 575 Certified Refurbished – Free Shipping + Save $70! Designer 625 Certified Refurbished – Free Shipping + Save $100! Hurry now, they have a limited inventory, and when they sell out, they most likely won’t get new inventory during this 2 week sale. Also, the earlier you order, the better chance you will get the color you want.